Diamond / X-Plus Waves 6, 7 and Beyond! – SKREEONK! Hey, John Stanowski from KaijuAddicts.com here to bring you the latest X-Plus news you can use. …or something like that. Diamond Distributors announced last week that X-Plus Re-Issue Wave 6 will include the Toho 12in Series Godzilla 1955 and Anguirus 1955 vinyl figures. 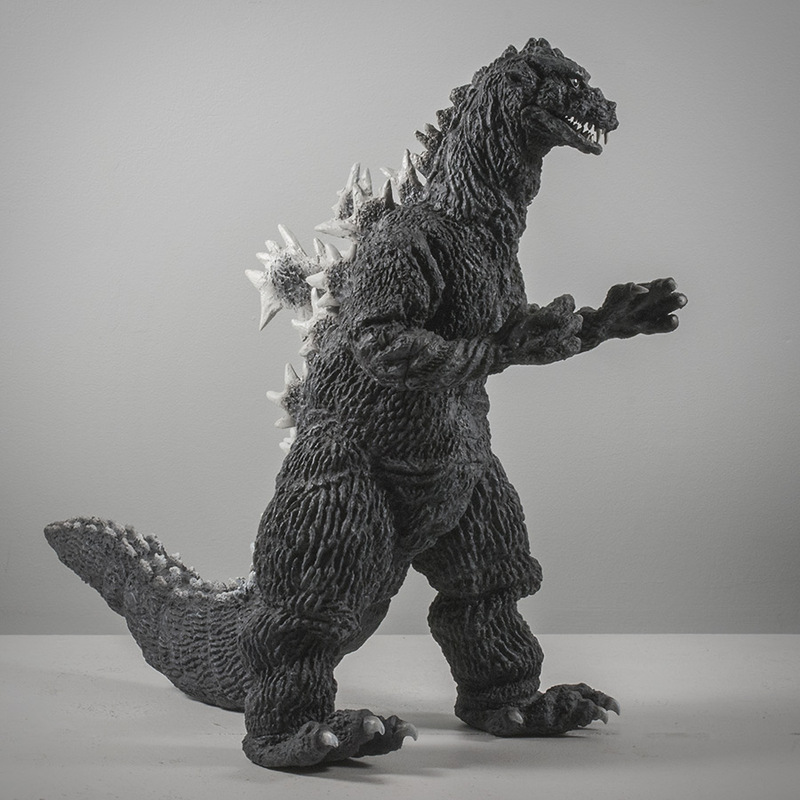 These figures will be re-issues of the original Japan releases and will have the same monochrome paint scheme to mimic their looks in the black and white classic Godzilla Raids Again (ゴジラの逆襲), 1955. 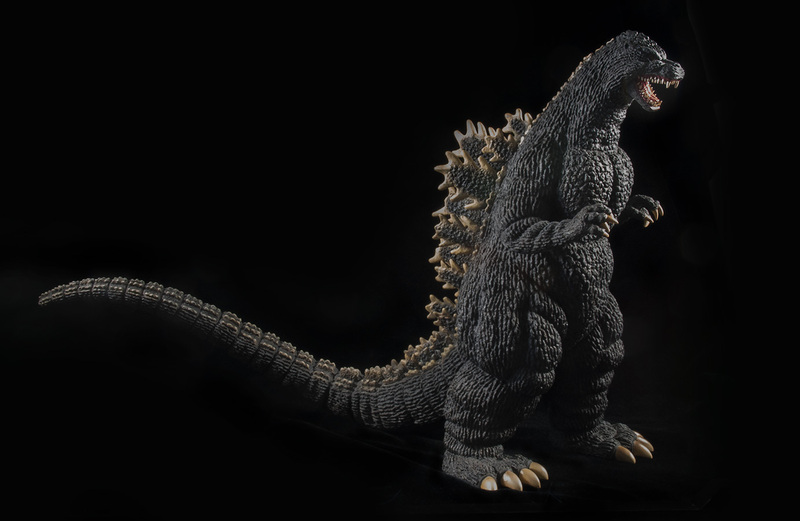 The Godzilla ’55 figure is about 12 inches tall and is a fantastic likeness of the original suit. This suit was strange in that, I thought, it looked fantastic from the side and forward angles, but then downright goofy from the front. Well, the figure is a deadringer from all angles, good and bad! 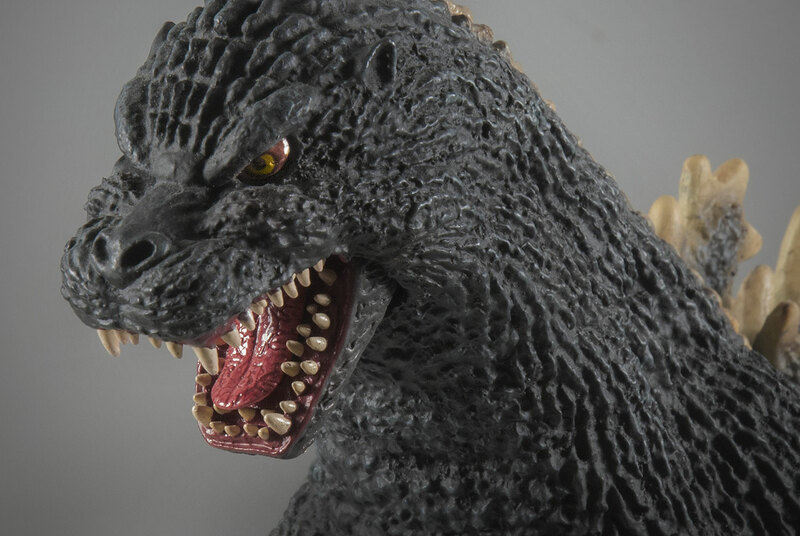 Check out my X-Plus Godzilla 1955 Vinyl Figure Review on Kaiju Addicts for more. 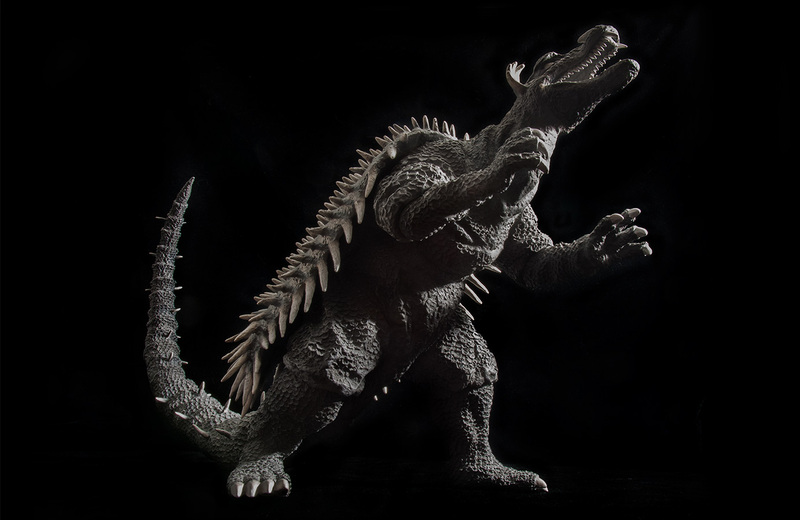 The Anguirus ’55 is rearing up on his hind legs and stands about 10 inches tall and a whopping 19 inches long… and that’s with his tail curled up! This figure is not only a great likeness or the original suit, it’s literally covered with deep texture and individually sculpted spikes. Just… wow! See more of this figure at my X-Plus 30cm Series Anguirus 1955 Review. News of Wave 6 comes early since these figures are actually August pre-orders. You can reserve yours at a variety of online shops or from your local comic store. If you choose the comic store approach, preordering them may go quicker if you ask them to search the Diamond Retailer Website for Item Code AUG142478 (Anguirus) and AUG142477 (Godzilla). Diamond’s deadline is the third week of August. Both figures are expected to be released this November. So we just found out about Wave 6 a week ago now this week we’re learning about Wave 7? Well, it’s not like it was a secret as to what was coming next. The Toho 12in Series Godzilla 1989 and Gorosaurus were the last two figures from that original 2-page spread we saw in Previews last year. Diamond sprung the news at their booth when the two figures went on display at their booth at San Diego Comic-Con, Wednesday, July 23. 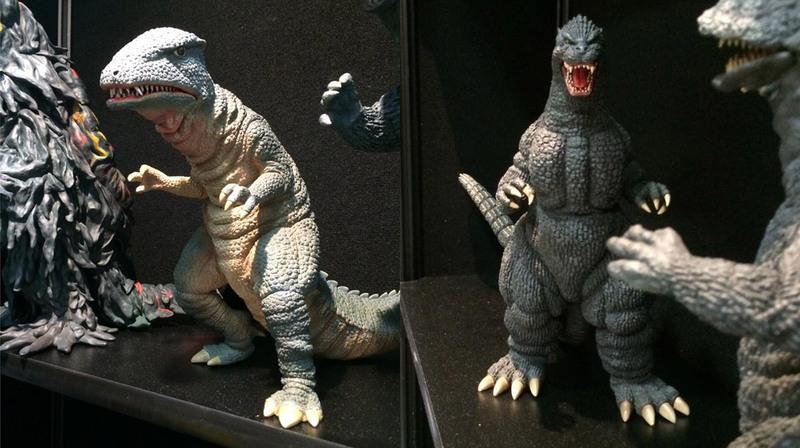 No word yet on when Wave 7 (Godzilla 1989 and Gorosaurus) will go up for pre-order. My guess in November, so you have plenty of time. Get your 55’s taken care of first! And, man, what a beaut! The X-Plus Godzilla 1989 is a fan favorite and thanks to Diamond, collectors will get another chance to grab this figure. See my X-Plus Toho 30cm Series Godzilla 1989 Vinyl Figure Review for more info and photos. Sorry. Can’t tell you what’s in Wave 8 because I don’t know. But what I can tell you is that Diamond hopes to finalize their plans for X-Plus reissues in 2015 and 2016 in time for New York Comic Con (October 9-12). My GUESS is that they’ll simply start offering re-issues of all the figures that didn’t get included in the first 7 waves. If you count up all of the 30cm figures that didn’t make it to Diamond in 2013 and 2014, you’ll find there’s just enough for them to keep doing what they’ve been doing for another TWO YEARS! Pingback: X-Plus Ghidorah! Bandai! Blu Rays! It’s a Collector’s Update! | SKREEONK! Next Post Skreeonk.com’s Official G-Fest XXI Recap! Previous Post EXCLUSIVE: ‘Hail To The King’ Documentary is Funded! Help Make it Even Better!